Auto-Bake is a global designer and supplier of fully automated industrial baking ovens and systems. Internationally renowned for its innovative Serpentine technology, Auto-Bake’s compact, cost-efficient, continuous baking solutions are custom-configured for a diverse range of baking applications, like panned cake products, pastries, ready-made meals, artisan/specialty breads, and pet food. 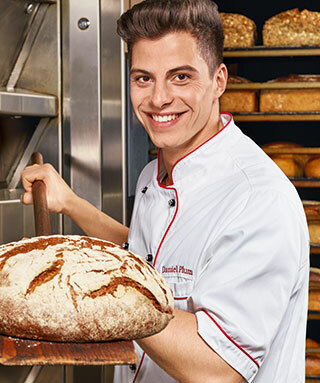 Baker Thermal Solutions offers an unmatched breadth of industrial bakery equipment with system solutions executed worldwide. We have a full range of aftermarket services from parts and inspections to on-site rebuilds for equipment with over 100 years of heritage. Working with our sister companies and allied equipment partners Baker Thermal Solutions is capable of supplying complete turnkey projects.